How do you go about water damage restoration? A mold remediation nyc company explains this further. What can be retained and what is to be thrown out? These are the foremost questions for homeowners looking after a water disaster. Water damage attracts mold and bacteria putting the residents more at risk when they come into contact with the infested items and surfaces. Mold can cause allergies, respiratory problems and even death in extreme cases. The most common causes of water damage in homes are floods and problems with the plumbing system. Flooding swamps the house with water in few minutes or hours. The basement and ground floor are most at risk from water damage by natural flooding. Damage to plumbing in the form of pipe bursts and leaks can cause water damage that goes unnoticed when it happens in hidden places. The homeowner notices the damage when it is too late e.g. when the dampness spread through the carpet. This is to assess the level of water soaking in the building items. Mold testing NYC experts say that categorizing the water source is important in water damage restoration so as to know how to handle the risk. Category 1 – This is clean water for example from a clean water pipe or a toilet tank. Category 2 – This is ‘grey water’ that is water that is not outright dirty for example from the washing machine or the bathroom tub. This is to assess the extent of water damage. The class and category of the damage are determined to get the best way to do the restoration. Mold testing NYC experts say that it is also important to test for any mold and microbes at this stage. This removes remaining moisture from the building structure and the items therein. Some items are better off discarded if the damage is class 3 or 4 including fabrics, clothing, upholstery, drapery, carpets, shelves and ductwork. This is done to kill and prevent the growth of mold and other harmful microbes. Any absorbent items left behind like upholstery or carpeting are treated with antimicrobial agents. Air quality testing NYC services can also be called to assess if the air needs scrubbing. This involves replacing a few items like drywall and insulation to extensive like replacing entire walls. 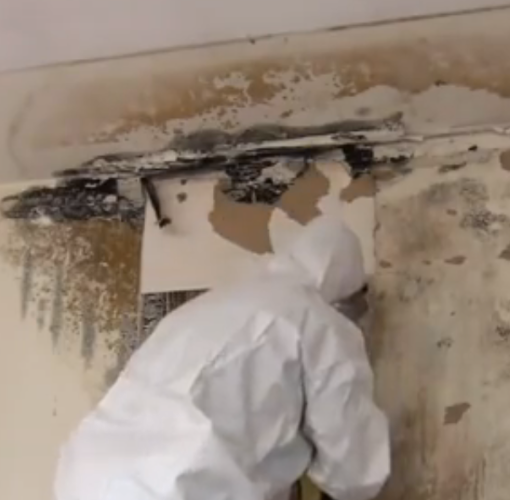 Mold removal NYC services can be called in to ensure mold growth prevention has been done well.